While there’s no denying that water is crucial to any home, it can also be very damaging. For instance, even a small roof leak can wreak havoc on your home, causing damage to your ceiling, ruining your carpets, and even shorting out your appliances. If you’re dealing with a relatively small leak, tape a piece of string near the puncture and set it into a bucket. The string will channel the water into the bucket, preventing the water from spreading and doing even more damage. If you find multiple leaks, rinse and repeat this procedure until all water sources have been put under control. Water and electronics don’t mix, so take precautions to cover or move your appliances to prevent electrocution and fires. Likewise, it is also wise to relocate your furniture from the area to minimize the damage they might receive. Also, try to keep the area as dry as possible to avoid slip-and-fall accidents. Given the region’s weather, it’s hard to predict when rain might fall. And when you have a hole in your roof, you’ll have a huge headache in store for you if you don’t take action. Until you can gather the tools to repair the hole yourself (or until the roofers arrive), the best you can do is lay a tarp across the roof’s damaged section. That way, even if it were to rain unexpectedly, rainwater can’t get into your home. Of course, don’t forget to use a sturdy ladder and seek assistance from your family or neighbors when ascending the roof. The leak won’t be resolved until your contractor can locate the puncture on your roof. However, you can help control water seepage into your home by doing some preliminary fixes to the ceiling. If you have some pre-made stick patch or rubber peel, apply some to the section of your ceiling where the water drips. It’s not a permanent solution, but it will stem the leak for the time being. 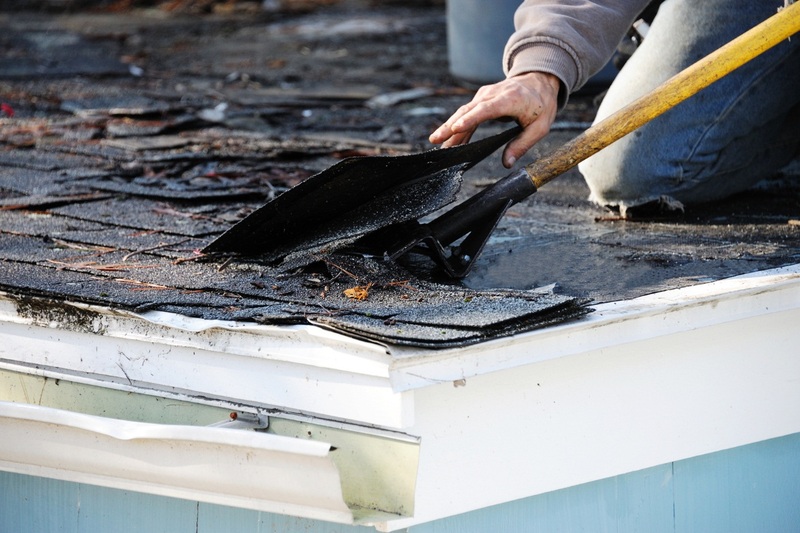 Of course, patching a leaky roof can be a real challenge, even for longtime homeowners. To ensure your safety and to fix the problem once and for all, it’s best to leave roof repairs Menlo Park or Sunnyvale, CA roofing experts such as Shelton Roof.